Discover the Philippines in every cup. Did you know that coffee trees act as a flavor sponge, absorbing scents and flavors of plants within a nearby distance? This is why coffee from different provinces in the Philippines have their own unique flavor. Kape Maria lets you taste the richness of Philippine coffee by sourcing beans from different regions all over the country. View photos from our campaign collaboration with Everywhere We Shoot. Kape Maria allows you to see the beauty of the Philippines through it's carefully curated blends and single origin. Our Maynila blend was shot at the historic core of Manila, Intramuros. View photos from our campaign. Kape Maria supports the livelihood of Philippine Coffee farmers. communities all over the country. 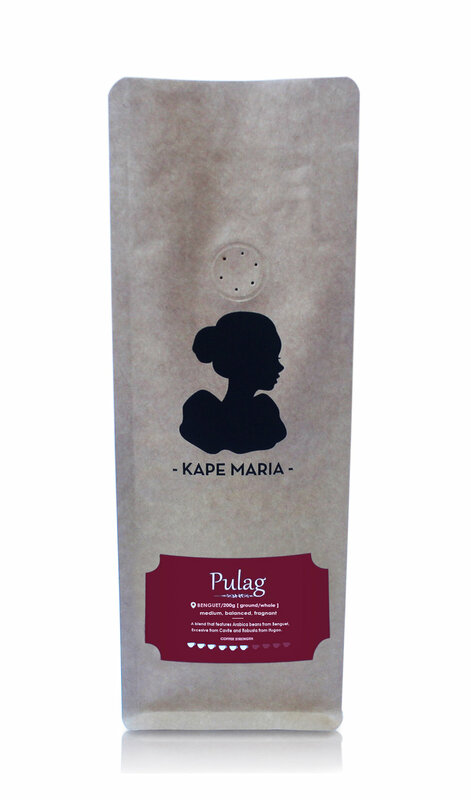 Pulag is a blend that features Arabica beans from Benguet, Robusta from Ifugao Province, and Excelsa from Cavite. This medium, balanced, and fragrant blend is a crowd favorite. Amuyao is a strong blend of Excelsa coffee from Cavite and Robusta beans from Ifugao Province. Its rich, nutty and distincly macho flavor brews the perfect cup to start your day right. 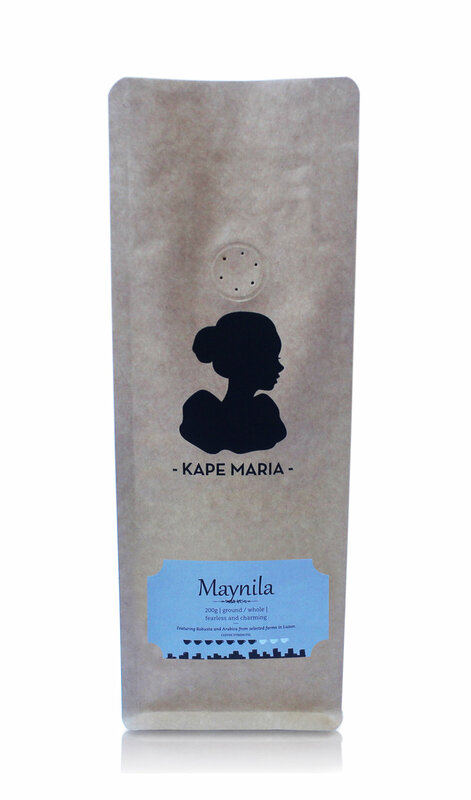 Maynila is Kape Maria's house blend of premium Robusta and Arabica beans sourced from farms in Luzon. This signature blend boasts of fearless, charming, and dark chocolate flavor to give you that ideal afternoon boost.